Training is hotting up for the Three Men on a Bike. With just a couple of months to go until their 926-mile challenge, Peter Heath and Tim Walter showed what they‘re made of with a day of intense pedalling at the Wales Sportive on Saturday 9 June. The Wales Sportive takes place on a lapped cycle course in Tenby. Billed as a challenge of mental and physical endurance, contestants can choose to ride 40, 72 or 112 miles. 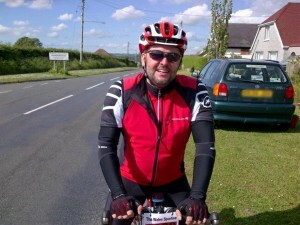 On the day Peter clocked up 72 miles, while Tim hit a whopping 112 miles! When they cycle from Land’s End to John O Groats in August, the team will need to achieve an average of 92 miles a day – so the Wales Sportive was an exhausting taste of what’s in store for the three men on a bike. 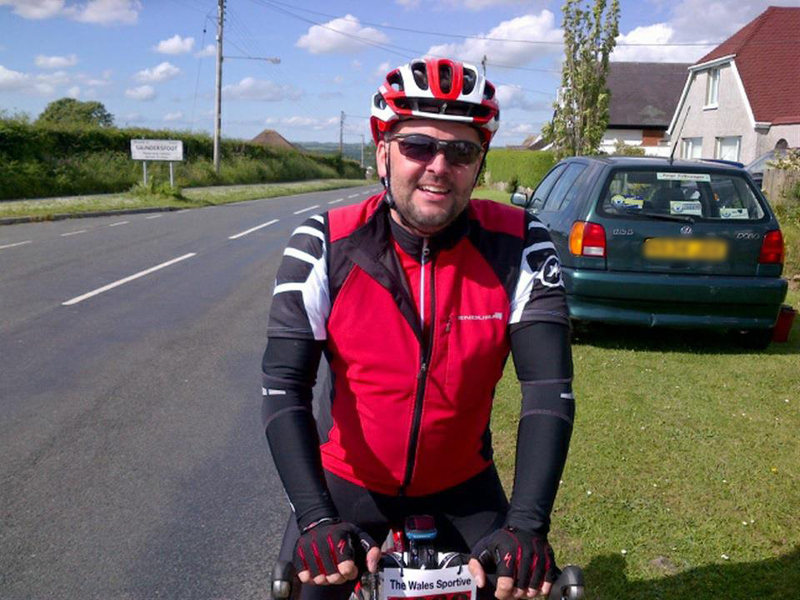 Peter and Tim were joined at the Wales Sprotif by Roland’s new drum and percussion manager, Jules Tabberer-Stewart – who you will hear about soon… Jules, like Peter, cycled a gruelling 72 miles on the day. Of course, Tim, Peter and Jules aren’t (just) doing this for the good of their health – the aim is to raise £40,000 for charity. To show your support and donate, click on the donate button to the right of this story. Print article This entry was posted by admin on June 15, 2012 at 1:43 pm, and is filed under 2012 ride. Follow any responses to this post through RSS 2.0. You can leave a response or trackback from your own site.